With 2011 now behind us, we have had time to reflect on what Bridge has achieved in the last 12 months and what we are looking forward to achieving in 2012. The past year has seen some major changes in our company with the development of new products and services, and the addition of new team members to support our growth. We have also developed our partnerships with clients and now represent customers across a wide range of industry sectors. This has given us a very firm foundation for 2012, and we are very excited about the coming year, especially being a Coventry based agency with all that is about to happen surrounding the 2012 Olympics and Euro 2012. New ways of working in PR were very much to the forefront throughout the whole of 2011. Social media gained in popularity with the majority of our clients and we spent a great deal of time providing training support around this and other marketing communications topics. The new raft of digital technologies certainly helped us to raise the profile of our clients, a number of whom enjoyed national media exposure. This was underpinned by having really great stories to tell. Content is the lifeblood of marketing communications campaigns, and every one of our clients had interesting and topical stories in 2011. In the summer months, we launched one of our own campaigns based around, Bridgit, a rather engaging red-eyed tree frog, who became the centre-piece for a social media workshop titled “Making the LEAP”. Bridgit very quickly took on a life of her own after a successful campaign to name her, and we then set about creating her identity as our social media mascot. You will see a lot more of Bridgit in 2012, so watch out for her. As we headed towards Autumn, we increased our team again and welcomed our new account executive, Natalie Hunt. With a breadth of experience across journalism and broadcast media, Natalie is a great addition to our team, and very quickly established herself with a number of our clients as well as building relationships with editors and journalists up and down the country. It’s particularly exciting to be in Coventry as we head into 2012. The buzz surrounding the 2012 Olympic Games is now starting to heat up in earnest, and Coventry will be in the thick of everything with some of the major games being hosted in our City. In addition, local Company, Imagineer Productions, has created a magnificent spectacle in “Godiva Awakes” which will shine the spotlight on two of the city’s home grown industries: Lady Godiva and cycling. The bicycle was invented in Coventry so what better propulsion to use to take the enormous Godiva puppet on her journey from Coventry to London. Another Coventry coup is the Olympic torch. This is yet another Coventry creation that will focus attention on the region, and especially when the Olympic torch relay wends its way through the Midlands on its way to the Olympic Stadium. In among these major events is an anniversary that also has strong Coventry connections: the centenary of the maiden voyage and sinking of RMS Titanic in 1912. Bridge client, Titanic Heritage Trust, is hosting a series of events throughout 2012 commemorating this event (hyperlink). As we have mentioned in a previous blog ‘Boost your Business with “Video PR”’, videos are 53 times more likely to generate a first page ranking than traditional SEO techniques, which means more visitors to your website, more calls generated, and ultimately more sales. Just a short video about your products and/or services that you offer could increase the calls generated to 18%. 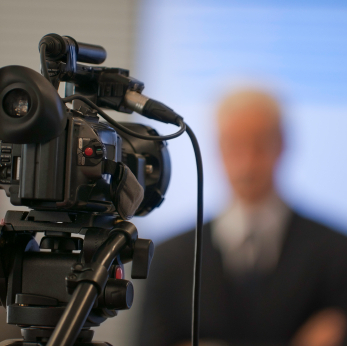 Working with our partner, Whirlwind Productions, we are keen to make you aware of the benefits of Video PR and how this can move your company forward, whether it be a short, sharp video release, or a larger budget corporate video. We will be bring you more information on how you can boost your business through video PR through our own training and workshops, e-shots, and blogs. Building on the great successes of 2011, we will be helping more businesses to make the most of social media. No more can businesses say “Why should we be using social media?”, and finding reasons not to engage with their online audiences. Instead, we are now hearing “Why would we not use social media, it has so much to offer?” We predict that the social media revolution will continue to grow, and for some of our clients it will be a case of their social media activity maturing as they reap the rewards of early engagement after spending time building their following and creating and curating great content for their stories. Last year was a great year for us and we enjoyed every minute of it. We are very excited by the prospect of continuing to work with our clients, partners and suppliers. If you haven’t already signed up for our e-newsletters, then please take the time to do so now, and we will keep you up to date on the latest in PR and marketing and how you can use the lifeblood of your business (your stories) to really get noticed in 2012.